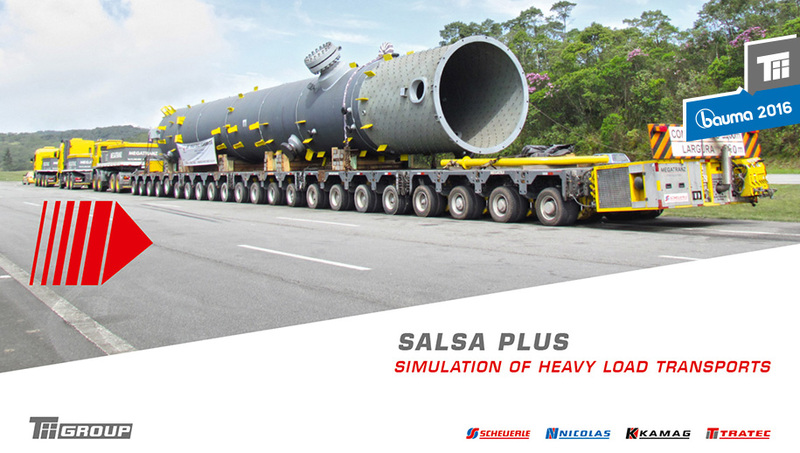 Simulation and loading case investigations of heavy duty transport operations can be easily made with the help of the SALSA Plus program. Even before the transport operation will take place, you can quickly, efficiently and without any risk plan your transport projects. The program is suitable for all load cases, considering the entire project from the beginning on. SALSA Plus is suitable for all possible load cases such as tractrix simulation, assembling the vehicle combinations and calculating the stability on the base of CAD. With the acquisition of SALSA Plus you receive among the program itself the consultancy services for a year as well. 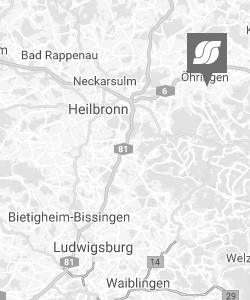 At the booth of TII Group, FN.828 at bauma, we are happy to answer your questions! You find our brochure and video here.